Add an extra sparkle to your festivities with this exclusive, straight to digital short story from the Sunday Times No. 1 Bestseller. Miranda and her daughters have rented a cosy cottage for Christmas. The only trouble is, Anthony and his children are booked into the same place. In a moment of Christmas spirit, Miranda suggests they all spend yuletide together. Will the mistletoe help ease the tension and bring some cheer? Will romance blossom under the stars? Or will it be a Christmas they'd all rather forget? Sunday Times bestselling author Katie Fforde is known for her wonderfully romantic stories, delectable heroes, and heroines we can all relate to. In Staying Away at Christmas her warmth and wit shine through in this enchanting short story. 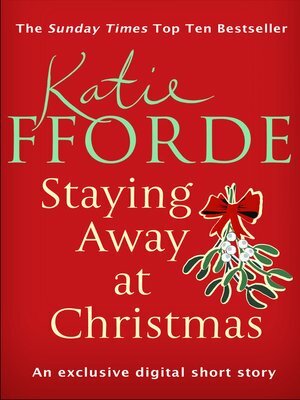 Turn on the Christmas lights, curl up on the sofa and immerse yourself in the deliciously readable world of Katie Fforde. It also gives readers a chance to read the opening chapter of A French Affair.